As a youth, Gaudí had a close personal and professional relationship with Salvador Pagès, who was also from Reus and was one of the most prominent leaders of the cooperative movement in Catalonia at the end of the 19th century. This textile industrialist was the founder of the Mataró Workers Cooperative (La Obrera Mataronense), a society founded in 1864 which had originally been based in what was then the town of Gràcia (now a district of Barcelona) and which moved to the city of Mataró in 1874. Pagès’s affinity with the ideals of Utopian Socialism led him to commission the young Gaudí with the design of an industrial complex along the lines of the industrial colonies or mill towns, providing social facilities and housing for the members of the cooperative. Gaudí went to work on the project in 1878, just after he finished his studies at the Barcelona School of Architecture, collaborating closely with the Mataró architect Emili Cabanyes on the planning of the various facilities. The project consisted in the integration of the pre-existing structures and he conceived a complex of new industrial buildings, thirty single-family dwellings and a services area which would feature a school, a library, a social club and the head office of the cooperative. The building designed by Gaudí is quite plain and simple. 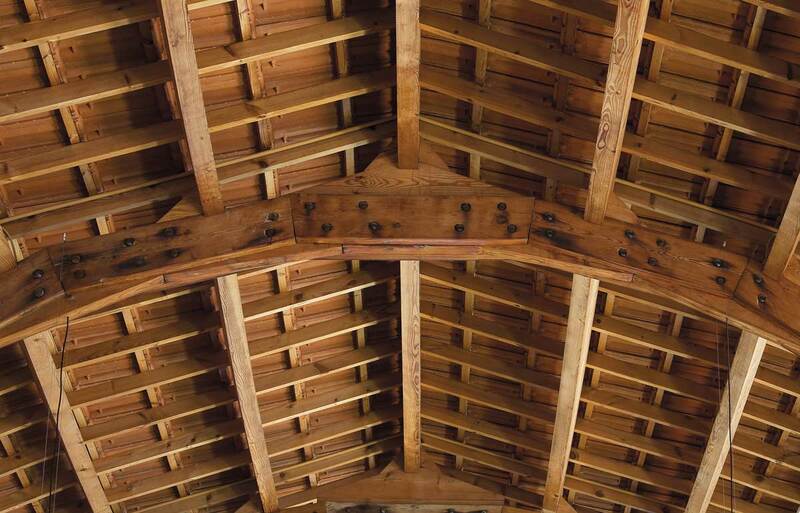 In this, his first industrial architecture project, he designed a building structured on 13 strong but slender parabolic arches, formed by small lengths of wood assembled with bolts according to the model of the French Renaissance architect Philibert de l’Orme. The use of these arches enabled Gaudí to create a large open space of nearly 600 square metres without the need for interior divisions or for structural systems like columns or pillars. A highly innovative solution for those times, it eschewed the established building models, highlighting the young architect’s great imaginative capacity and technical inventiveness. 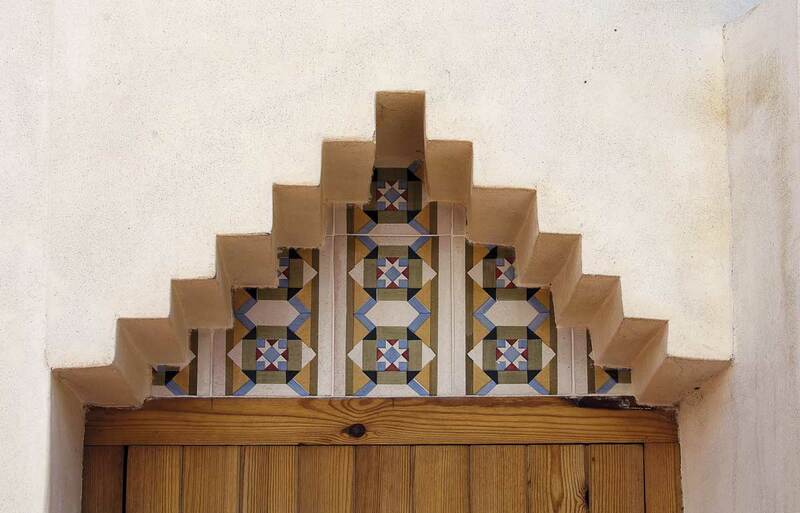 The bleaching shed stands out for its austerity and functionality, still far removed from the ornamental profusion, the spatial experimentation and the historicist and naturalist elements that would later come to characterise Gaudí’s work. 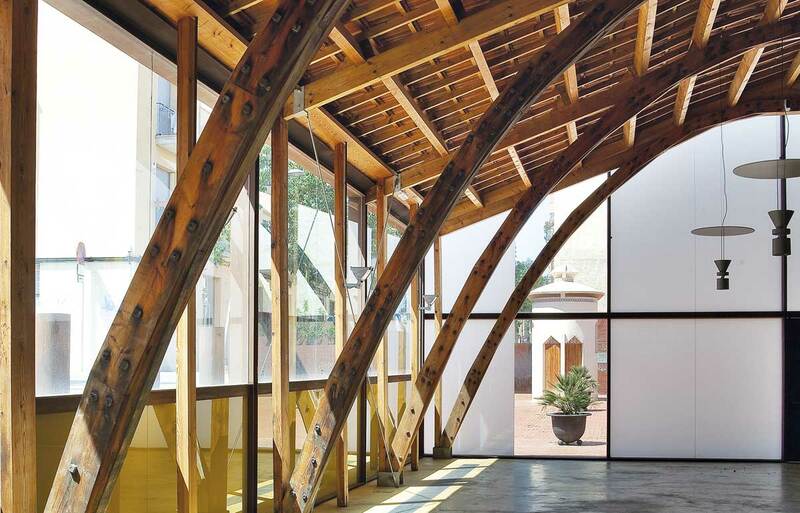 In this building the arches play the leading role, exercising not only a structural function but a decorative one as well. 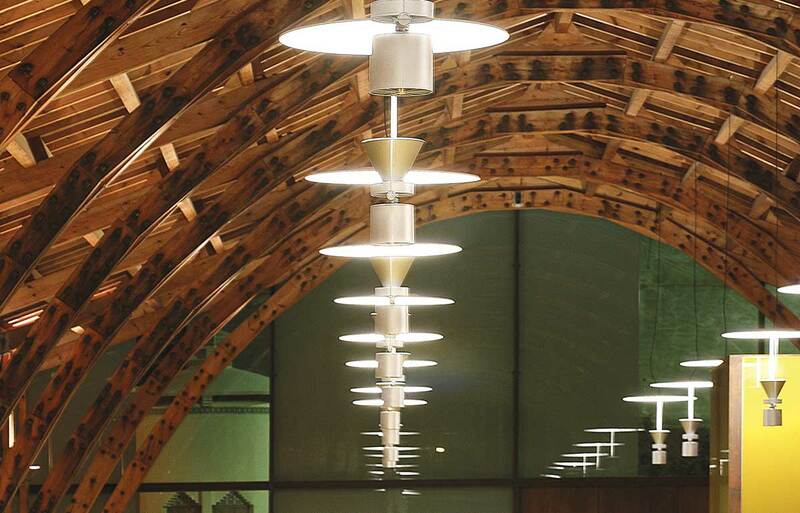 Here, in his first project, Gaudí created a space of great originality and modernity that strengthens the beauty of the structural bareness of both the building materials (wood, bricks and iron) and the sustaining elements themselves. A few metres away from the bleaching shed stands the latrine pavilion. 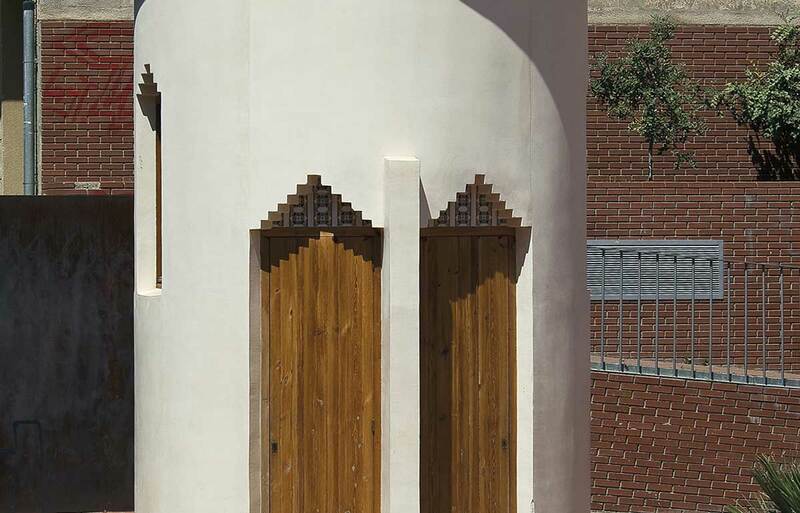 This is a small cylindrical structure which is considered to be the oldest building of the cooperative complex. Its interior is divided into two halves in order to separate the men’s toilets from the women’s, and they are reached by separate doors. This modest structure stands out for the design of its roof in the form of an elevated vault, providing ventilation by a syphon system. Gaudí would subsequently come to use this system in the ventilation towers of the Vicens House and in the horse stables of the Güell Estate. The importance of this building lies in the materials and decorative elements used in it. The decoration of this little structure features strips of glazed ceramic tiles and stepped pediments over the doors and windows. These are genuinely Gaudinian ornamental elements that would be repeated and transformed in many of the architect’s later projects. In 1884 Gaudí designed the cooperative society’s standard, a very typical element of the times which was displayed at celebrations and in formal events. All that now remains of this standard is the bronze figure of a bee that topped it, as an allegorical symbol of hard work, dedication, tenacity and economy. This piece now forms part of the collection of the Museum of Mataró. · Tuesday to Friday, from 17.00 to 20.00 h. Saturdays, from 11.00 to 14.00 h and from 17.00 to 20.00 h. Sundays and public holidays, from 11.00 to 14.00 h.
· Closed on Mondays and 1 & 6 January, Good Friday, 1 May, 24 June, 27 July, 15 August, 11 September and 25 & 26 December.